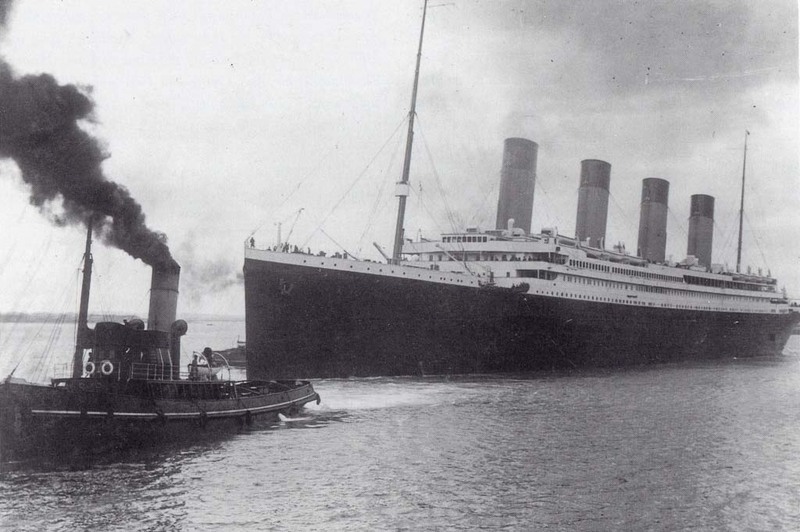 Titanic arrived in Southampton on 3rd April, just before midnight and was guided by tugs into berth 44 in the White Star dock. Only a skeleton crew had travelled from Belfast and the rest were recruited in Southampton as further supplies were loaded and preparations completed for sailing day on 10th April. 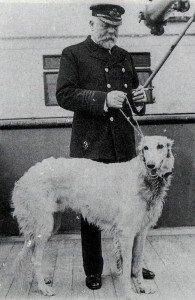 Captain Smith pictured here with Russian Wolfhound Ben – a present for his daughter from Benjamin Guggenheim. (Ben was safely delivered to his new owner before Titanic sailed). On the Wednesday morning passengers arrived in their hundreds and boarded the new liner which left her berth at 12 noon, guided once again by tugs, and pilot George Bowyer. 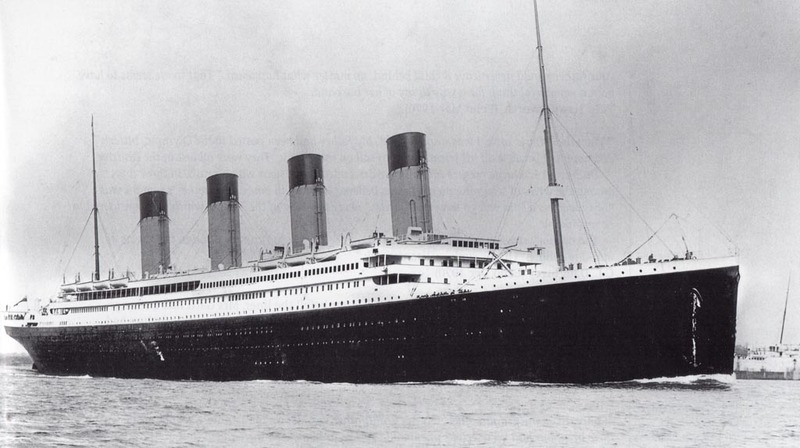 As Titanic moved out of the docks, the displacement of water from her huge hull snapped the moorings of another ship, the New York, which began to drift towards Titanic. A collision was narrowly averted as the New York was brought under control, but a delay of almost an hour was added to the maiden voyage timetable. Titanic taken from the Isle of Wight by Beken of Cowes.